Books By Dr. Thomas Armstrong | Thomas Armstrong, Ph.D. Multiple Intelligences in the Classroom, 4th Ed. Students at the secondary school level are often considered to be the most challenging group to teach. 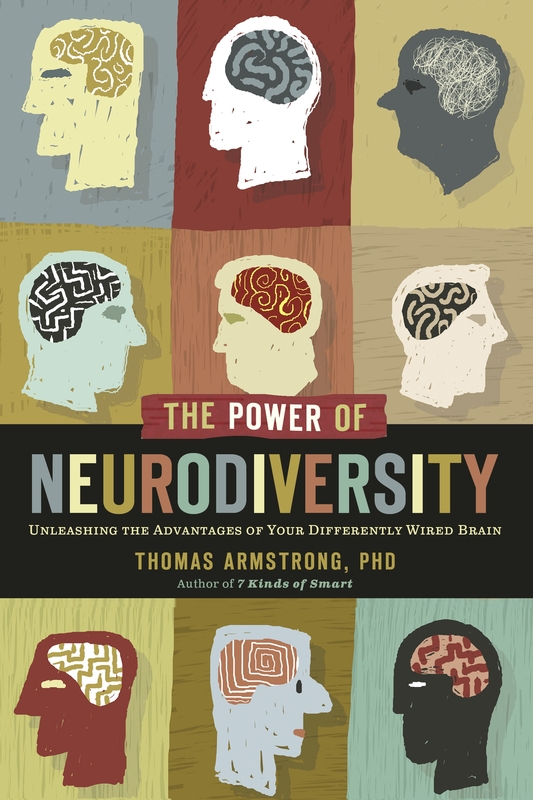 However, in this book Dr. Armstrong describes how the last fifteen years of research in the adolescent brain can revolutionize our understanding of how to reach and teach kids during this turbulant stage of their lives. 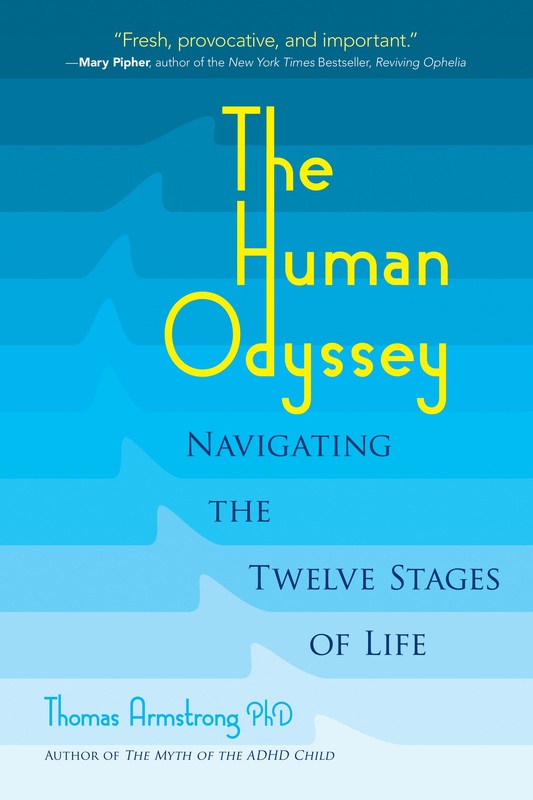 Using brain scan studies and other scientific data as a guide, this book describes eight fundamental interventions that should be part of every secondary school curriculum including affective education, peer learning connections, metacognition, opportunities to choose, expressive arts, self-awareness activities, learning through the body, and real life experiences. For each of these interventions, Dr. Armstrong describes several specific strategies and illustrates them with examples from schools and school districts around the world. He also provides a series of lesson plans at the end of the book to illustrate how these interventions can be immediately put into action in such curriculum areas as literature (Romeo and Juliet), science (genetics), history (the Vietnam war), mathematics (interpreting statistics), and prevention.programs (tobacco prevention). Filled with practical advice and sound science, this book should become an essential guide for any middle school or high school teacher or administrator who wishes to base their instruction around ”adolescent brain friendly” practices. Publisher: ASCD. ISBN 978-1-4166-2187-4. Buy this book from ASCD. A revolutionary new book that promises to transform special education. Suggests that we use a “diversity” model for students with special needs, rather than a “disability” paradigm. Explores the strengths, talents, and abilities of students with special needs (autism, learning disabilities, ADD/ADHD, intellectual disabilities, and emotional and behavioral disorders). Shows how to construct a positive day-to-day learning experience that fits the unique needs of each child, using key learning strategies, assistive technologies/Universal Design for Learning, human resources, role models, environmental modifications, and affirmative career aspirations. Explains why applying these strength-based concepts makes it easier to align instruction of special needs students with the Common Core State Standards. Provides examples of how to teach and assess specific English language arts and mathematics standards for students with different special needs. Even if you rarely deal with special needs students, taking account of your students’ neurodiversity is an essential new insight for your practice. Publisher: ASCD. ISBN-10: 1416614834 ISBN-13: 978-14166148. This book for upper elementary and middle school kids explains the basics of multiple intelligences theory in easy to understand language that empowers them to make the most of their learning potential in school and in life. Provides quick quizzes to help identify the many ways of being smart (word smart, picture smart, self smart, music smart, people smart, body smart, nature smart, and logic smart), provides hundreds of ways to develop all eight kinds of smarts, and offers tips and resources for making the most of one’s strongest intelligences and strengthening the others. This new edition contains information and strategies for developing a proposed 9th intelligence: existential or ”life smart.” An excellent book for helping kids understand how they learn best. Publisher: Free Spirit – ISBN 1-57542-113-5. Shows teachers and parents how to use the theory of multiple intelligences to help kids become more effective readers and writers by connecting words to images, feelings, logic, physical expression, music, social interaction, oral language, and nature. Provides hundreds of ideas, strategies, tips and resources for teaching everything from grammar and spelling to word decoding and reading comprehension. Useful for pre-kindergarten through college level. Publisher: Association for Supervision and Curriculum Development. ISBN 0-87120-718-4. A self-help book for adults and older students; includes checklists for identifying one’s multiple intelligences, exercises and tips for developing them, and ideas on using one’s intelligences to overcome learning difficulties, enhance relationships, and improve work satisfaction. Publisher: Plume (Penguin-Putnam). ISBN 0-452-28137-7. In Their Own Way: Discovering and Encouraging Your Child’s Multiple Intelligences, Revised and Updated. A practical book for both parents and teachers on multiple intelligences. Includes chapters on using the imagination, the body, and the feelings in learning, as well as chapters on holding positive expectations, having a patient attitude, and helping children with homework using multiple intelligences. This revised edition includes a special resource guide with games, software, organizations, books, learning materials, and internet sites geared toward each of the eight intelligences. Publisher: Jeremy P. Tarcher/Putnam (Penguin-Putnam). ISBN 1-58542-051-4. 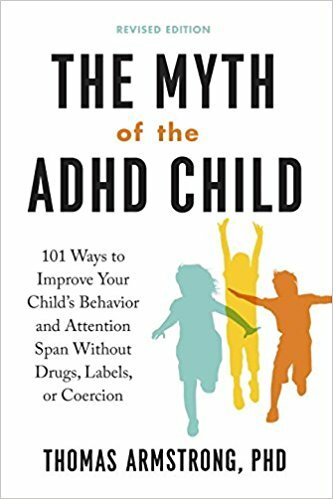 Provides a broad critique of the ADD/ADHD paradigm, examines alternative ways of viewing children with attention and behavior difficulties, and explores specific learning strategies teachers and parents can use to help kids with this label achieve success in the classroom, and realize their full potential in life. Publisher: Association for Supervision and Curriculum Development – ISBN 0-87120-359-6. A guide to the “higher realms of human nature” in childhood. Includes descriptions of peak experiences, archetypal dreams, and other transpersonal experiences of children and a look at the implications for educators, parents, and mental health practitioners. Publisher: Quest Books. ISBN 0-8356-0600-7. This inspirational and practical guide includes chapters on whole language, hands-on-math and science, music, drawing, giftedness, testing, the role of the home in learning, technology, cooperative learning, and Montessori and Waldorf education. Publisher: Jeremy P. Tarcher/Putnam (Penguin-Putnam). ISBN – 0-87477-608-2. Penguin Random House books (In Their Own Way, 7 Kinds of Smart, The Myth of the A.D.D. Child) – 40% discount for author appearances – call 1-866-206-5865. ASCD books (Multiple Intelligences in the Classroom, 4th ed., The Multiple Intelligences of Reading and Writing, Awakening Genius in the Classroom, ADD/ADHD Alternatives in the Classroom, Neurodiversity in the Classroom, The Power of the Adolescent Brain) http://shop.ascd.org/Default.aspx?TabID=201. 10-49 copies – 10% discount, 50 or more – 15% discount, for more than 500 copies of a single book call 800-933-2723,press 1, then ext. 5634 or 703-575-5634. Penguin Random House Books books (In Their Own Way, 7 Kinds of Smart, The Myth of the A.D.H.D. Child) – Contact: Jeffery Corrick – – Jeffery.Corrick@us.penguingroup.com – 212- 366-2684 . ASCD books (Multiple Intelligences in the Classroom, 2nd Ed., The Multiple Intelligences of Reading and Writing, Awakening Genius in the Classroom, ADD/ADHD Alternatives in the Classroom): Contact: Rights and Permissions, ASCD 1704 North Beauregard, Alexandria, VA 23311. phone: 703-575-5749 or 800-933-2723. fax: 703-757-5405. email: permissions@ascd.org. Penguin Random House Books (In Their Own Way, 7 Kinds of Smart, The Myth of the A.D.H.D. Child), Ally Bruschi, Publicist | Avery & TarcherPerigee, Penguin Random House, 375 Hudson Street, 4th Floor | NY, NY 10014, 212-366-2216,, abruschi@penguinrandomhouse.com.